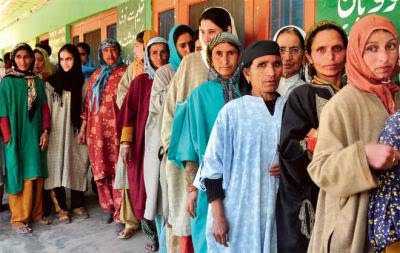 Srinagar September 12: Even as two major political parties of Jammu and Kashmir — National Conference and Peoples Democratic Party — have announced to boycott the local body polls, Chief Secretary BVR Subrahmanyam today told reporters that the elections would not be postponed. “There are multiple views. We have decided the elections will be held as per the schedule. There will be no change in the dates,” he said. “Three weeks from now, we will have urban body elections. In the first week of November, we will have panchayat elections,” the Chief Secretary added. The elections to municipal bodies are scheduled to be held in four phases between October 1 and 5, whereas elections to panchayats are scheduled to be held in eight phases between November 8 and December 4.